Our June luncheon will present ASCE Student Chapter and EWB to provide us with their yearly updates. The luncheon will be held at Lawry's Prime Rib on June 14, 2017. Please RSVP by Monday, June 12th by 12 pm. If you or your company is interested in future sponsorship opportunities, please don't hesitate to contact us today! 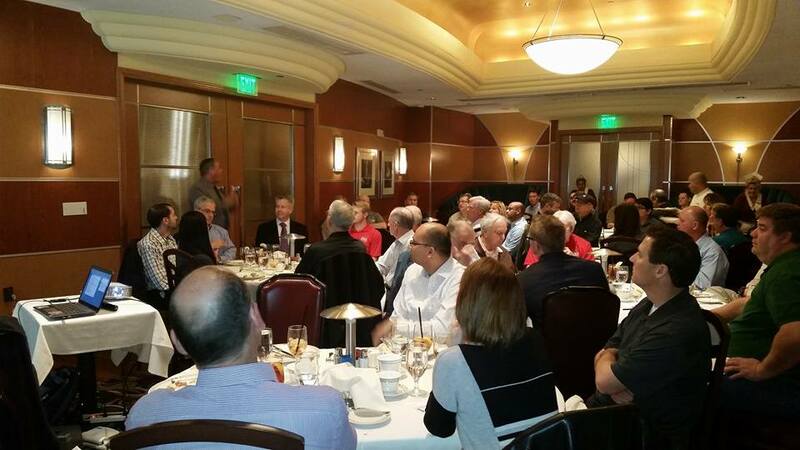 ​Monthly Luncheon Seminars are held at Lawry's Prime Rib located at 4043 Howard Hughes Parkway on the second Wednesday of every month from 11:45am - 1:00pm. Attendees earn 1.0 Professional Development Hours (PDH). If your company is interested, sponsorship for this luncheon is still available. Please contact ASCE if you or your company is interested. Sponsorship requires a generous donation of $250. Sponsors will have their logo and a PowerPoint slide presented prior to the luncheon. In addition, the sponsor's logo will be displayed on our website and on our Facebook page for the monthly event. ​Please email for opportunities and availability. Our January luncheon featured our very own President-Elect Joe Cetrulo where he presented about "Las Vegas Valley Sewer Manhole and Pipe Rehabilitation Prioritization Assessment". The District has taken a proactive approach to managing the growth and maintenance of their collection system. The District's Maintenance Plan combines the need to rehabilitate infrastructure, enhance operational efficiency, and plan for future capacity additions to strategically manage the associated costs from both a financial and community impact perspective. This Prioritization Assessment used manhole and pipeline inspections and assessments, capacity constraint verification, and future growth to effectively prioritize the District's system improvements. During the luncheon, we also recognized one of our Life Member, Mary Clyburn! Thank you so much for your unending support to ASCE! 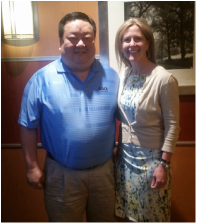 For the second month in a row we were happy to welcome back our Region 8 Governor, Tony Lau, P.E., F.ASCE. Tony gave a great presentation regarding the overall structure of ASCE, quizzes and all! ASCE SNB was also happy to induct new officers for the 2016-2017 year along with one new life member! 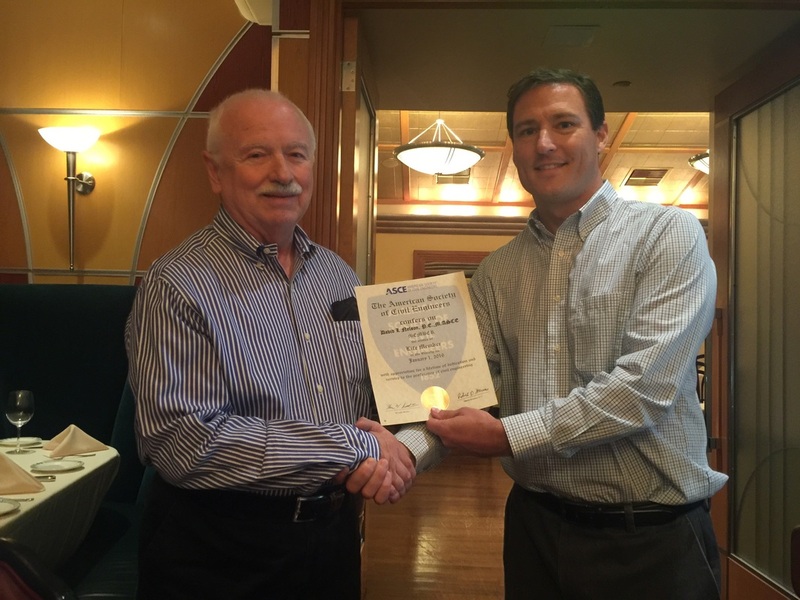 ASCE SNB was fortunate to have ASCE National Past President Bob Stevens, Ph. D., P.E., F.ASCE to speak with our members at our monthly luncheon sharing experiences learned from ASCE along his path, the importance of engineering both locally and globally, and the overall interests of the society. ​Thank you to everyone who attended the June Luncheon. June has already started out as a great and busy month, and there was much to be celebrated. 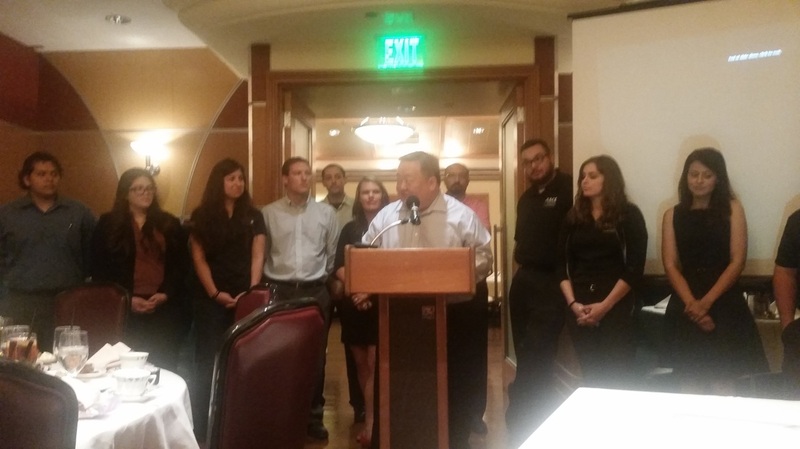 UNLV ASCE Student Chapter gave a great presentation on their "Year In Review" as well as honoring Dr. Thomas Piechota for his 17 years of service and dedication to UNLV Students. ASCE SNB wishes Dr. Piechota all the best and his presence in the engineering community will be missed as he leaves the Las Vegas Valley and is heads for California. Walt Vodrazka was an honored guest and recognized as the recent recipient of UNLV Engineering Alumnus of the Year! 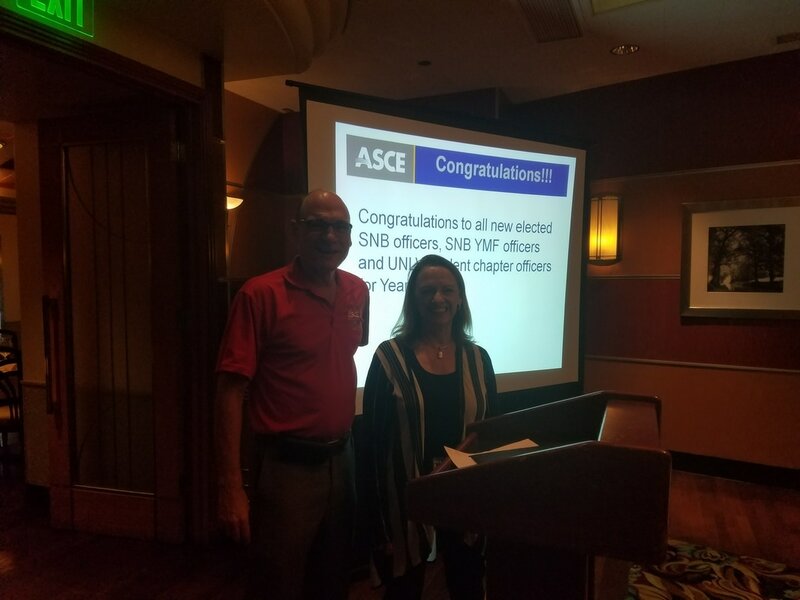 In addition, the ASCE SNB congratulated Kristina Swallow as the first ASCE National President-Elect from Nevada! Over 100 members in attendance at the Annual Joint ASCE/APWA Luncheon listening to Tina Quigley, General Manager of RTC Southern Nevada discuss, "The Facts About Fuel Revenue Indexing." Dale Keller, Project Manager with Nevada Department of Transportation (NDOT) gave a great presentation regarding Project Neon. In attendance, we were happy to have ASCE Region 8 Governor Tony Lau in town and happy he could join us. A big thanks goes out to our April sponsor! Bret Loughridge, Vice President of Operations for SR Construction, presented on Pull Planning at our March Luncheon. 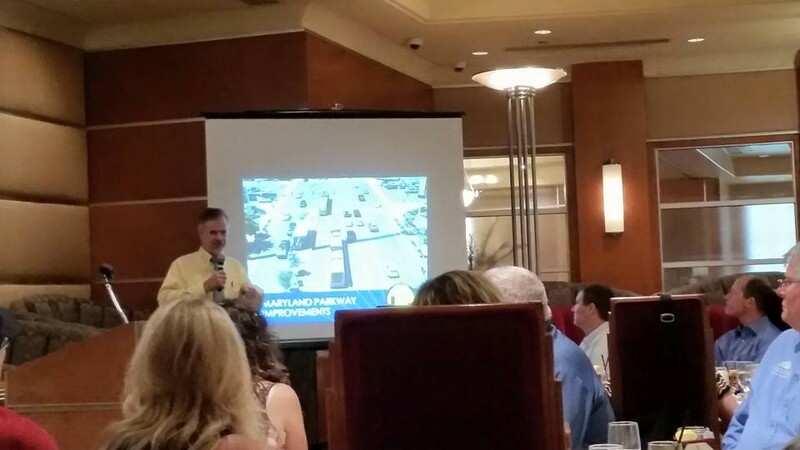 At this luncheon attendees learned about an alternative technique for outlining and meeting scheduling deadlines for construction projects. A big thanks goes out to our March sponsor! ​At our February luncheon we learned all about the State of the Science, State of the Art, State of the Practice of Utility Engineering from Mr. James Anspach with Cardno. 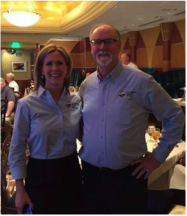 James Anspach, pictured left along with President Elect Nominee Kristina Swallow, currently serves as the Utility Engineering and Surveying Institute Governor. We were happy to have a packed house to kick off our first luncheon of 2016! Dr. Hayes presented on the State of the Civil Engineering Department at UNLV.